Christmas is indeed the most magical time of the year. It’s when you can truly relax and savour well-deserved time with the family. The kids aren’t in school, and stress of work is forgotten as festive jingles fill the air. Why not fill your calendar with the most exciting Christmas activities 2018? 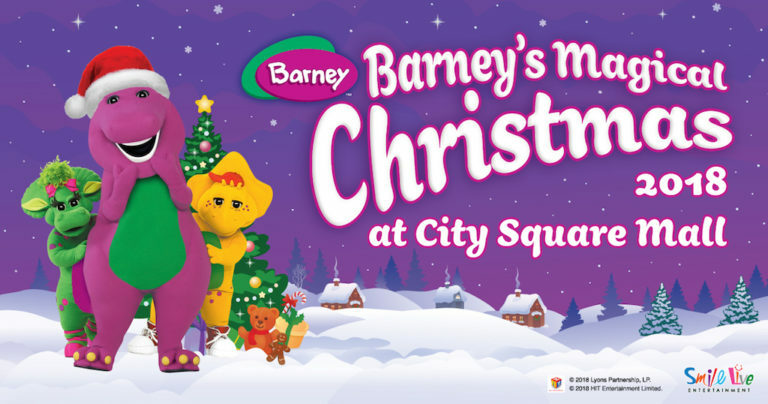 Get ready to sing and dance along with the Kiddos to Christmas favourites together with Barney, BJ, and Baby Bop! With a live show, meet and greet sessions, and an immersive visual-display of lights, there’s so much fun to be had. Get up and close with your favourite Barney characters! 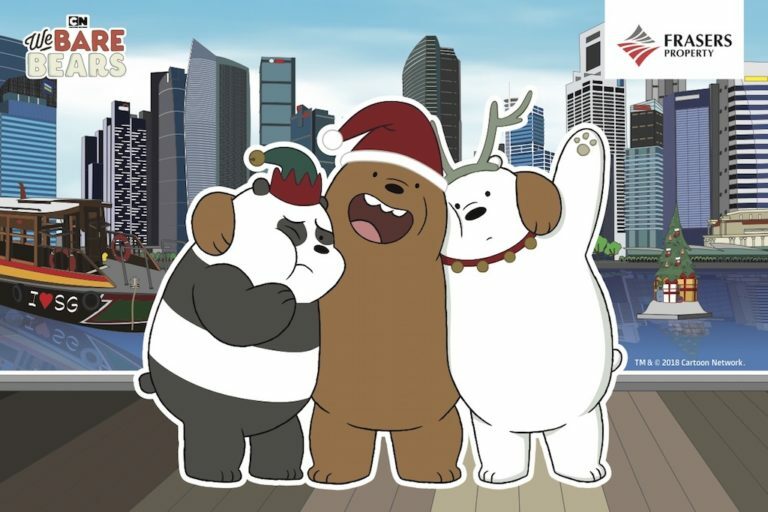 Usher in A Beary Merry Christmas with We Bare Bears and stand a chance to win a trip for two to the home of We Bare Bears – San Francisco! As part of A Beary Merry Christmas, an all-new app, The Pawfect Journey, has been released. Download it to help the three bear brothers locate their missing items across the malls of Frasers Property, and stand a chance to win over $250,000 of gifts! Pokémon fan rejoice! 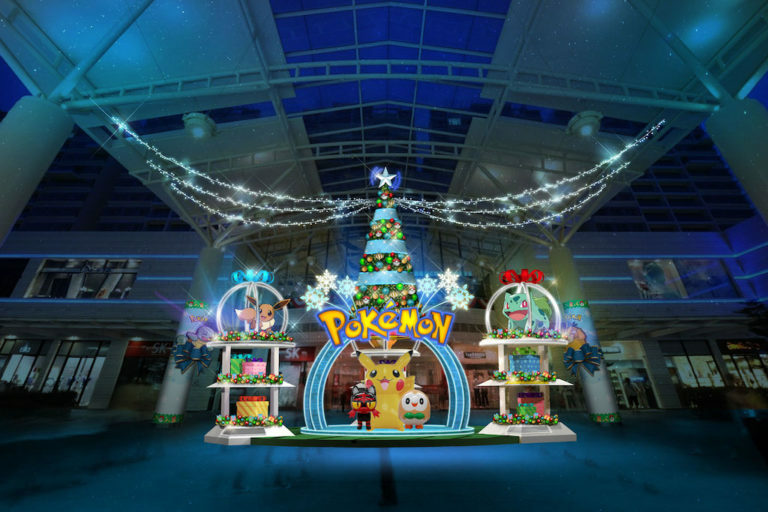 Snap pictures with Singapore’s first life-sized Pokémon installation or take this year’s family picture in front of a Christmas tree embellished with Pokémon ornaments. You’ll even get a chance to spot legendary Pokémon such as Dialga or Palkia from the Black & White series. With eye-catching activities to participate in, and special edition merchandise to collect, the kids will be in Pokémon heaven! 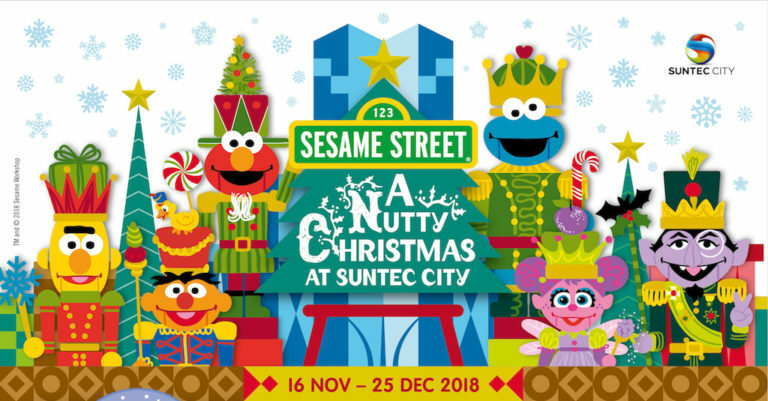 Enjoy a nutcracker-themed Christmas at Suntec City with the cast of Sesame Street! Hop on for a magic carpet ride with with a fun-filled line of activities such as the Sesame Street Show, Marching Parade, Tea Party, and many more! VivoCity has upped the anté on festive celebrations this Christmas! Check off your festive shopping list with Late Night Shopping, as mall hours extend till 2am. Skate with the kids at the first outdoor skating rink at the Plaza! When you’re all done, head over to the Holiday Makers’ Market for more goodies. 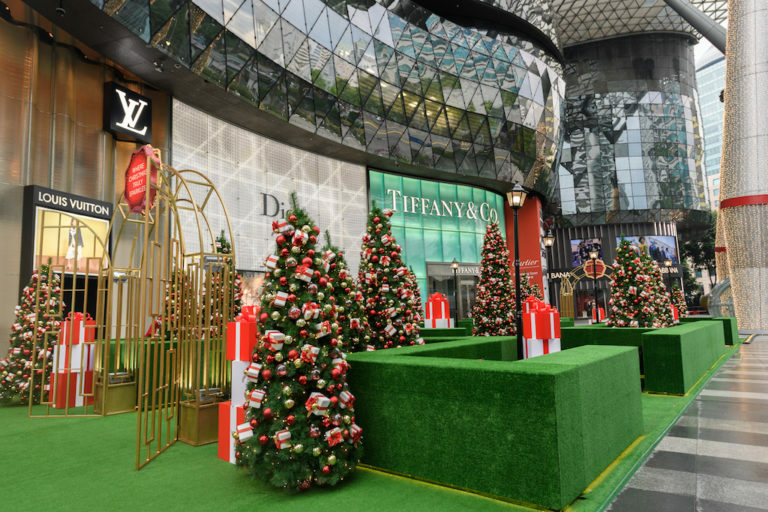 Christmas is just around the corner, and ION Orchard has something exciting and different planned for you. Instead of their traditional Christmas tree, a sparkling 14m-tall Cartier Ferris Wheel takes centerstage this season! You’ll also be treated to a great line-up of entertainment by the ION Sparklers and Roving Brass Band. 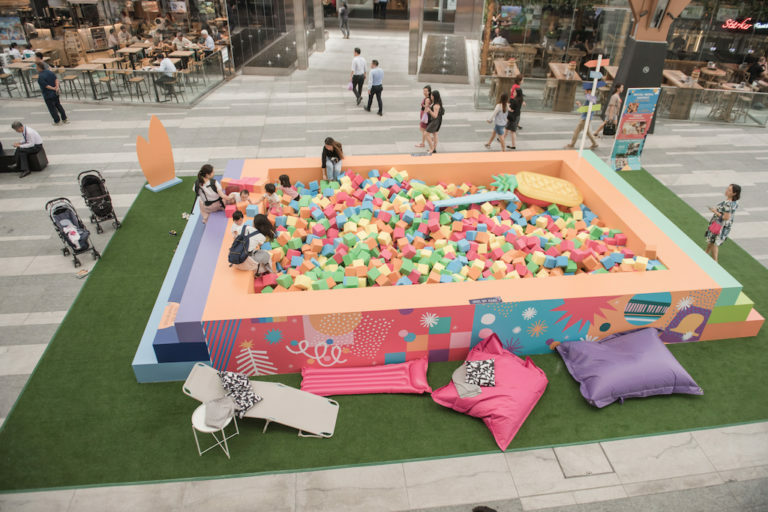 Join local artists and performers at Tanjong Pagar Centre, where The Urban Park will be transformed into a colourful, fun, and exciting place for the entire family. Unwind at the Hullabaloo pool, soak in the festive colours, and enjoy endless Instagram-worthy moments! There’ll also be a TGIF Music Station every 1st and 3rd Friday of the month. 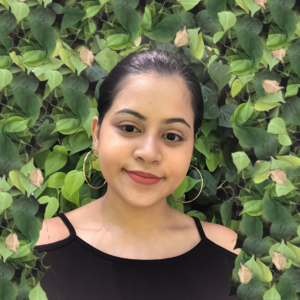 Enjoy local acoustic acts by Cheryl Fong, Zerlene, and more. Immerse yourself in an exciting Virtual Reality (VR) gaming challenge at Harbourfront Centre! Challenge your children to snowball fights and a music beat saber game with a minimum spend of $50. Play to your hearts’ content, and stand a chance to win $4,600 worth of shopping vouchers! There’s even a family category for everyone to participate in together. That’s not all, head over to the LEGO shop to experience the Parent-Child LEGO Robotics Workshop with Junior! It’ll be a fun-filled hour of creativity and learning as you work together to create your very own robotics game with LEGO WeDo. 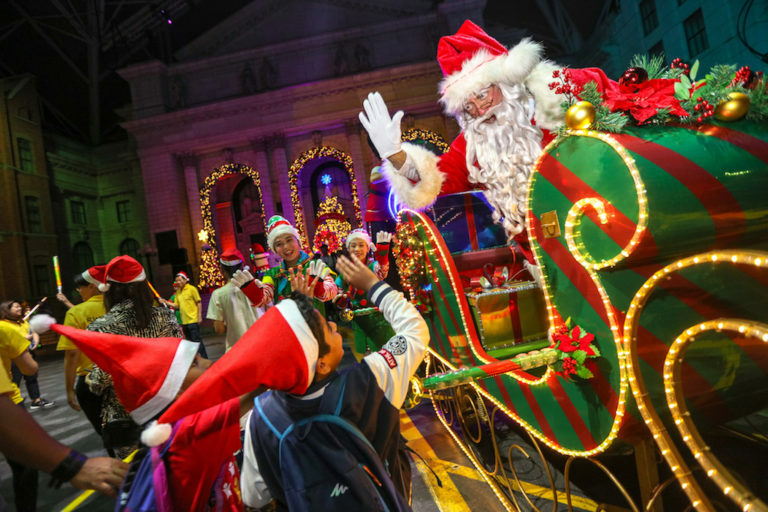 At Wishing Stars, KidZania Singapore’s year-end event, the kids can watch a Christmas Lightshow, slide down a 4m-high inflatable slide, and enjoy their first-ever Christmas bazaar! Till 31 Dec, the City will be decked out in yuletide cheer to celebrate the festive season. For the first time ever, KidZania Singapore will also offer free night admission to KidZania Christmas Night Out. 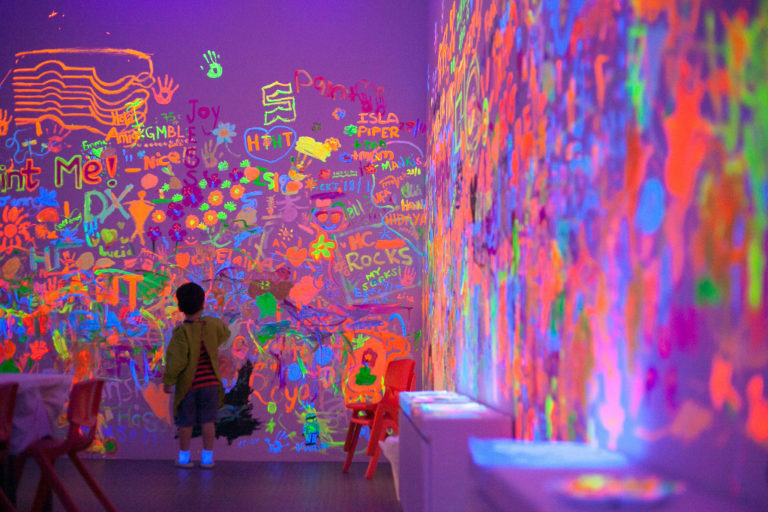 Head down with the kids from 21 Dec – 31 Dec, 6pm – 10pm, free of charge! 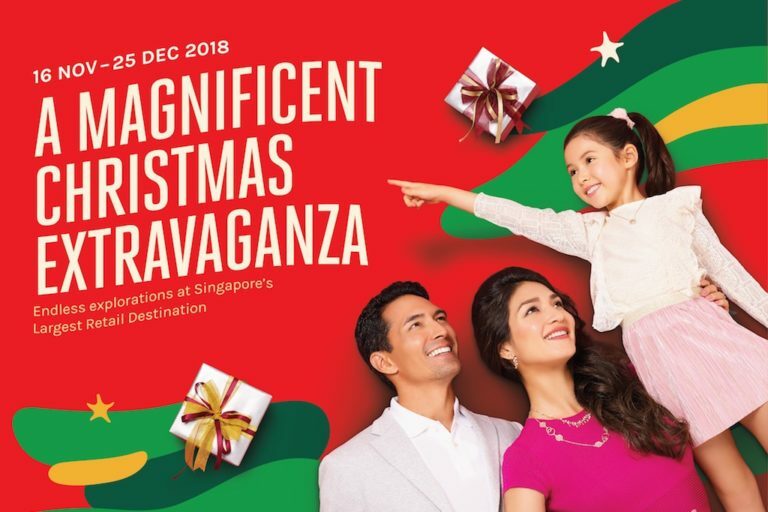 Celebrate the holiday season with an exciting line-up of activities for the whole family at Singapore Sports Hub! 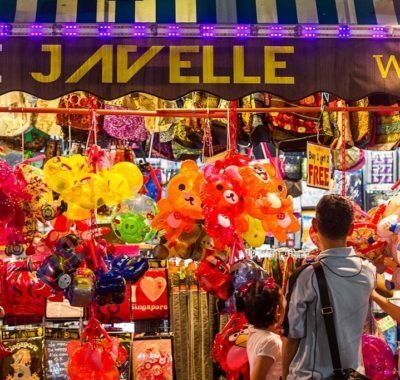 There are workshops, fitness workouts, and bazaars, and of course, the ChariTrees light up along Stadium Riverside Walk. Remember to snap lots of pictures for the ‘gram! Immerse yourself in a magical landscape filled with dazzling lights, all-new musical performances, and spectacular fireworks. Park hours will be extended to 9pm and 10pm on selected nights, so you can have more fun with the family! 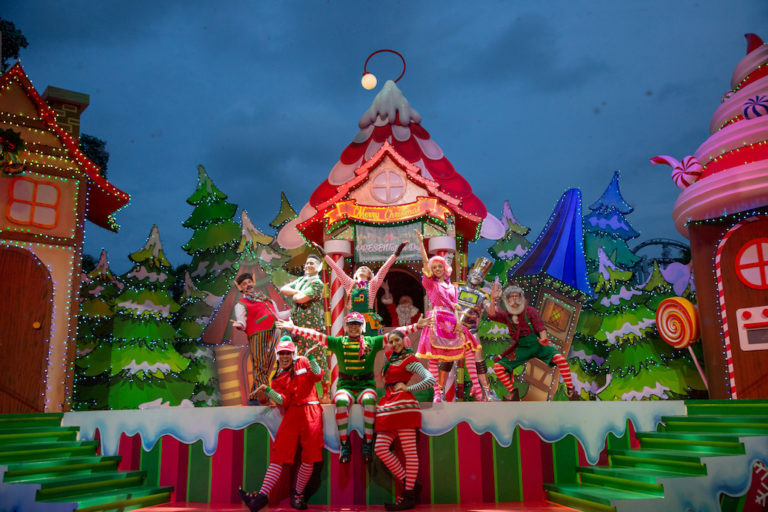 Taking centre stage this year is Santa’s Snowy Sleigh Ride, the largest-ever Christmas parade in the history of Universal Studios Singapore. This colourful parade will feature a procession of wildly embellished floats, over 50 merry elves, toy soldiers, and St Nick himself. It’s not to be missed! You can also embark on an interactive Christmas adventure with the kids over at the bustling Elf Town, where kiddos can get a sneak peek into Bristles T. Evergreen’s toy-making station, and help him complete his toy for PRESENTation Day. Then find out if you’ve been naughty or nice at the Chief Chestnut’s Naughty-or-Nice O’meter! The S.E.A Aquarium transforms into a mystical water wonderland this season, filled with glowing sea creatures, stunning light art installations, and a first-of-its-kind underwater LED dive appearance! Explore five multi-sensory zones inspired by luminous marine creatures: gaze in wonder at the aquarium’s coral colonies, and even step into an immersive art installation inspired by flowing coral tentacles. For the first time, S.E.A Aquarium will also be introducing an underwater appearance with divers in specially customised LED suits. Watch as they swim alongside 40,000 marine residents, including majestic manta rays and zebra sharks! Recount the classic tale of Hansel and Gretel as you get into the spirit of Christmas! Kids can enjoy a fun time in the cold at Snow City. Snowball fights, anyone? Parents will enjoy carols by acapella singers, and little ones will have a blast in the snow fall and blizzard experiences! 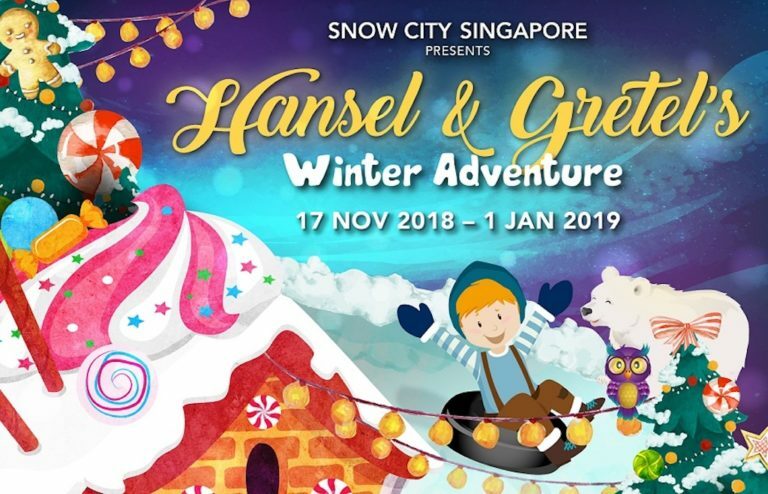 Don’t miss a chance to strike a pose with Santa Claus, as well as Hansel and Gretel. Young ones can bask in festival magic at Buds by Shangri-La this Christmas! Go on a mystical journey of discovery as a family. Sing along to their favourite bands at Stage, listen to Christmas tales at Muddy, and even bake a Christmas tree-shaped brownie at Bake! Bub can even get hands-on and unleash their creativity by creating their very own Christmas ornament! Take part in Origami Paper Squirrel session to craft your family’s squirrel buddy together, too. Kids an also sign up for Storytelling by the elves, catch classic Christmas movies, and get into the festive spirit with temporary Christmas Tattoos. Dive into the Christmas spirit with the debut of Illuminate by the Marina, a magical interactive light display and show! Personalise the decorative arch at the entrance together and keep an eye out for the special 10-minute light show happening every half an hour, from 7pm to 9pm daily. In addition, kids can enjoy bouncy fun with inflatables! Live performances will also take place on 29 Dec, where you can join in and belt out your favourite tunes. 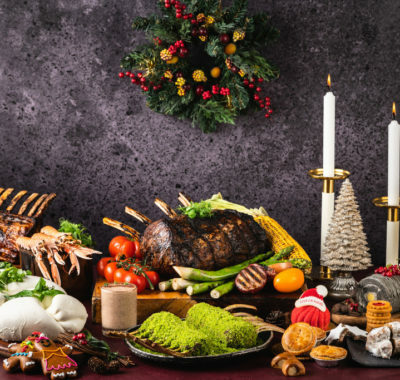 Complete the trip with yummy festive food and beverages! 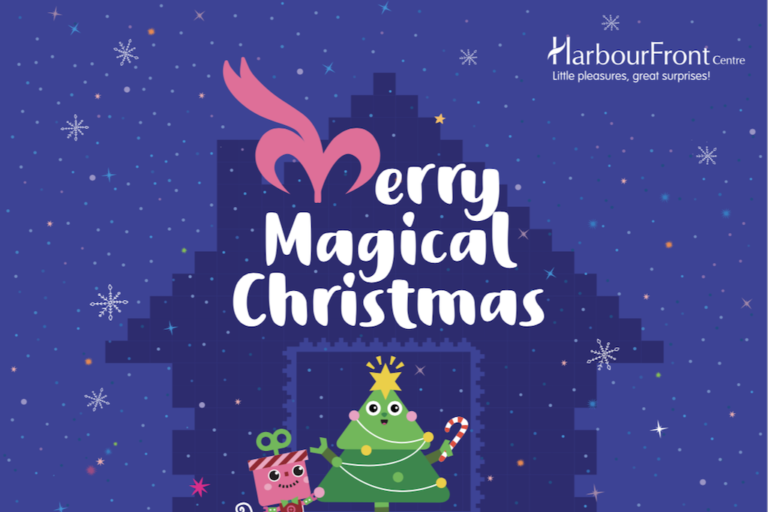 A wide variety of Christmas offerings await you along with spectacular waterfront views. 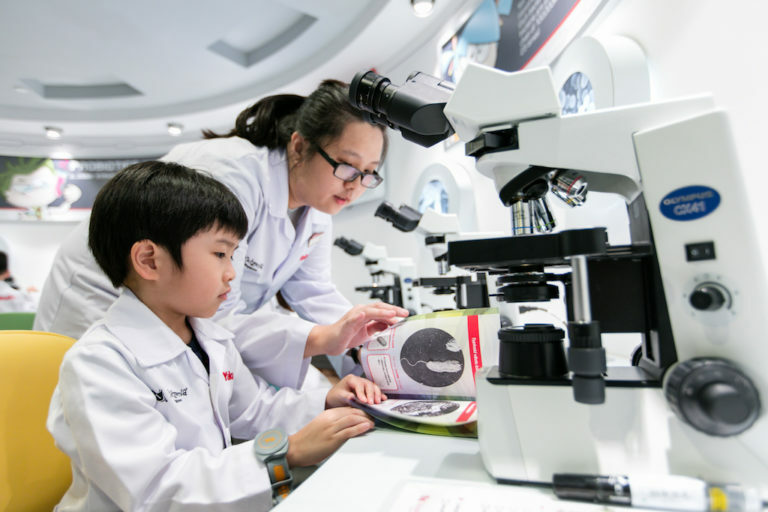 Celebrate the joyful season this year at the ArtScience Museum. 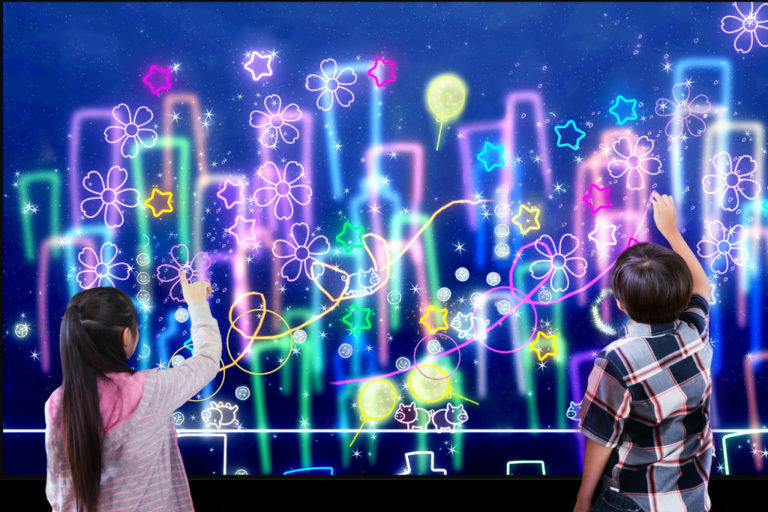 FUTURE WORLD: Where Art Meets Science welcomes Santa Claus to its digital universe with a special festive installation, Sketch Christmas! Watch with the family as Santa Claus comes to life by delivering presents to you when you tap on the screen. Along with this exhibition are 10 new interactive art works not to be missed! Maximise your fun-filled day with the family by visiting Minimalism: Space.Light.Object and All Possible Paths: Richard Feynman’s Curious Life. Brace yourself adventure-seekers, because you’re in for a big treat! 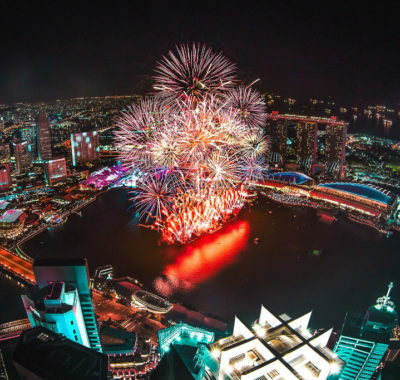 Returning for the second year, Prudential Marina Bay Carnival is Singapore’s biggest outdoor carnival. With up to 50 thrilling rides, there’s something for every member of the family. Celebrate Christmas onboard a thrilling ride, or four other new ones that’ll leave you coming back for more! If you’re not one for tummy-churning rides, roving food trucks will be sure to fill yours up. You and the kids can also learn new skills from local artisans through a curated series of art and craft workshops. 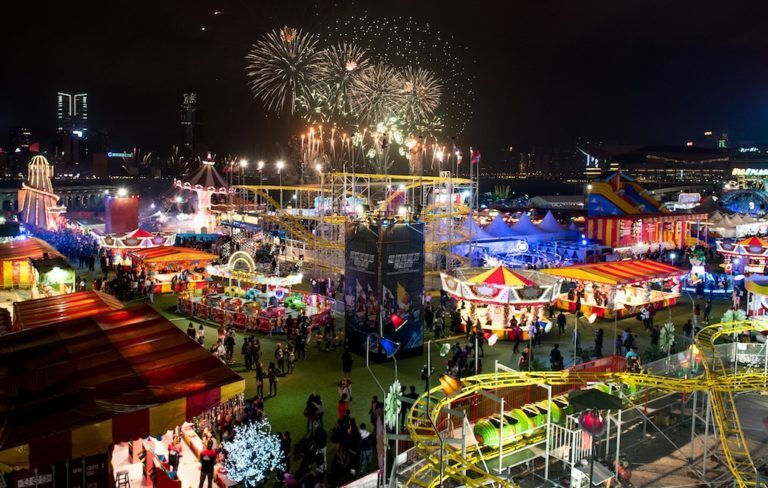 Christmas Wonderland is back for its fifth year at Gardens by the Bay. Top activities for the kids include skating under the stars – with the rink expanded to 324 sqm this year. Specially flown in from Switzerland, this year’s skating rink will also feature an 8m-tall illuminated Christmas tree. Kids and adults alike will also be in awe of picturesque installations at Santa’s Grotto. Festive installations await you while the kids can get up close and personal with Santa himself! Challenge each other to a friendly match with exciting carnival games! Bond with each other as you zoom past each other in bumper cars, and try your hand at the ring toss. 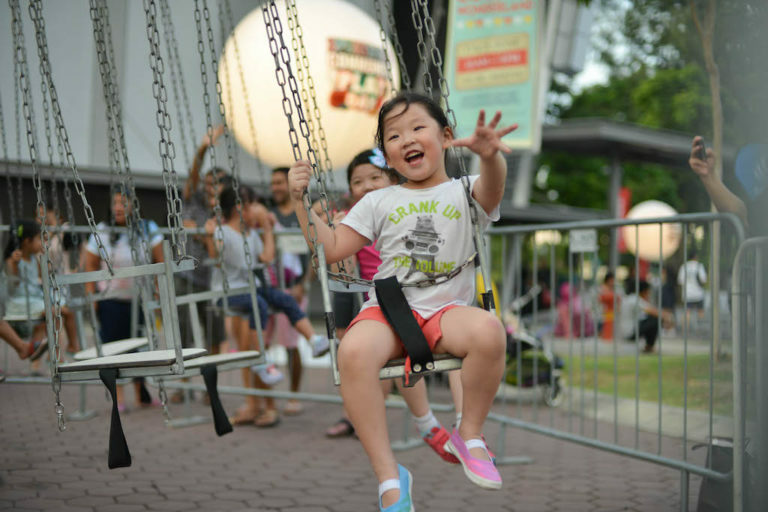 To make it an extra enjoyable for kids, there will also be many kiddy rides available this year. Little ones can look forward to riding the Christmas Train, Gingerbread Inflatable Houses, and even a Mini Ferris Wheel! 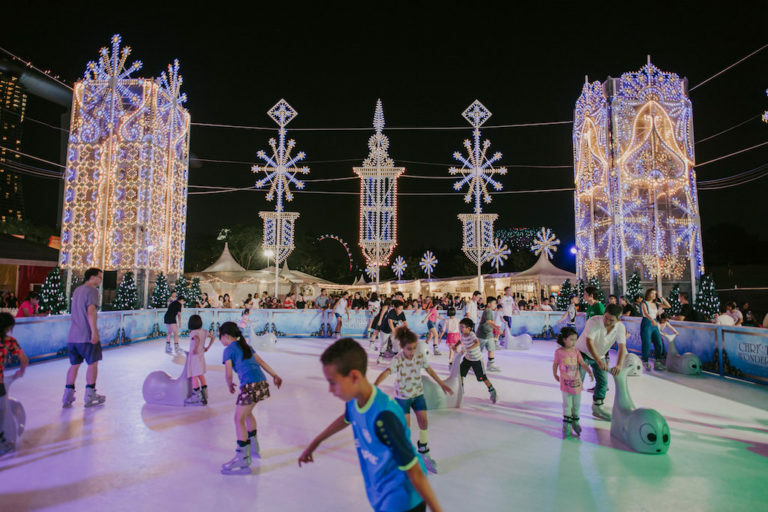 Don’t miss out on this winter wonderland at Gardens by the Bay. There are tons of wonderful Christmas activities to experience this holiday season! Plan a family day out to a carnival, or spread the festivities over a few weekends to catch all the performances. If you fancy a day out to Sentosa, drop by USS or S.E.A Aquarium for some Christmas fun, too! You won’t run out of things to do with the kids this Christmas. This yuletide season promises to be one for the memory books.